Staying warm and mostly dry for your Wednesday. Much cooler temperatures and heavy rain are in store for the end of your work week. You're going to want to take advantage of the mostly dry and warm weather today, as major changes are on the way for the end of your work week. Some sprinkles have been reported in Northern portions of our area this morning. 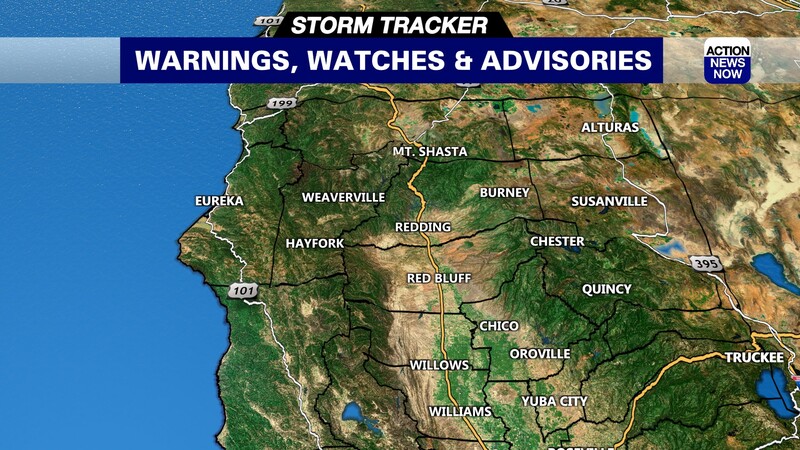 Most of the sprinkles will be limited to areas of the Northern Mountains and Shasta County today, but some could spill into the Northern Sierra. 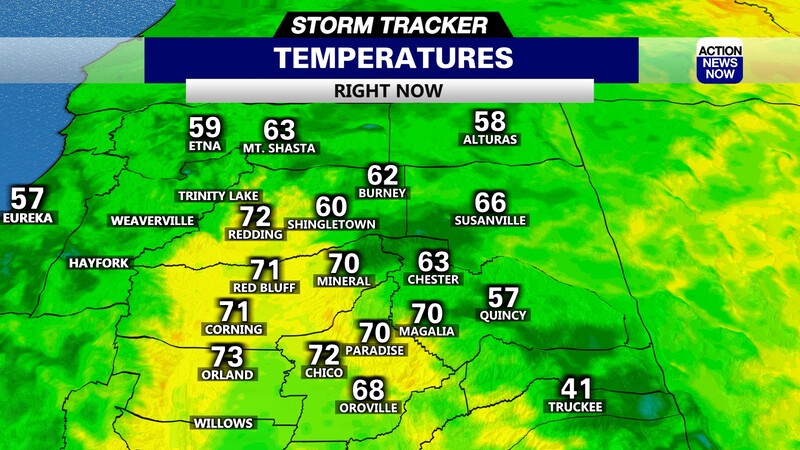 Temperatures are warm for the start of your Wednesday. Valley areas are starting out in the mid to high 50's this morning, and mountain areas have dipped into the high 30's to mid 40's overnight. Conditions will be mostly mild today, and high temperatures will continue to be above average. Temperatures will climb into the mid to high 70's in the valley this afternoon, and into the high 50's to mid 60's in most mountain areas. Winds are starting out light, but will be up to 10mph out of the Southeast later today. Cooler temperatures, and moderate showers will be returning on Thursday. Earlier models were showing the wet weather holding off until the afternoon, but the latest runs are showing a decent chance for showers spreading across the region earlier in the day. Temperatures will end up in the mid 60's to low 70's on Thursday afternoon in the valley. Precipitation will become much heavier on Friday afternoon. Temperatures will also be much cooler for the end of your work week. Valley areas will top out in the low to mid 60's for Friday and Saturday. The heaviest rain is expected from Friday afternoon through Saturday afternoon. 2 to 3 inches of rain will be possible in the valley, and up to 6 inches of rain will be possible in the foothills and the Sierra. This is shaping up to be a big wet event, with the potential for flooding and mud-slides this weekend. Snow levels stay above passes on Friday and most of Saturday. Snow levels will then more than likely dip to around 4500' on Saturday night into Sunday morning. Most of the wet weather will be tapering off or done by early Sunday. Some lingering mountain showers in the morning, then dry and slightly warmer conditions are ahead for your Sunday afternoon. Dry and even warmer conditions are ahead for your Monday. 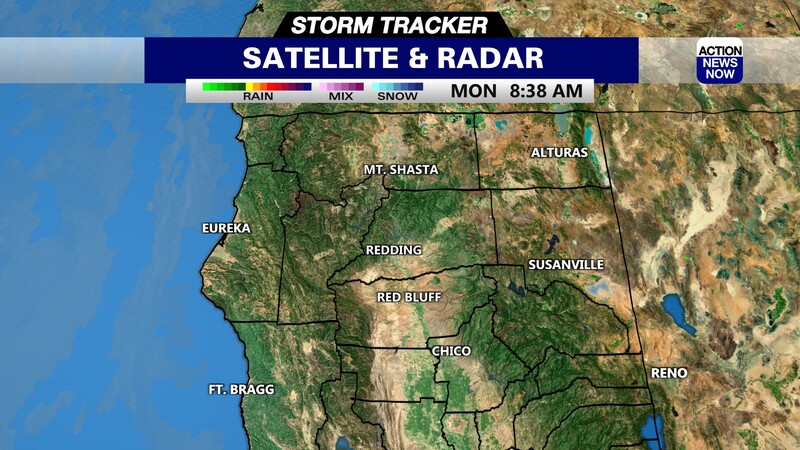 Valley areas will climb back into the mid 70's on Monday afternoon. Showers will then return late Monday night and spread across the region through Tuesday morning. Rain is expected for Tuesday and Wednesday of next week. Valley areas will end up in the low to mid 60's for Tuesday and Wednesday.